It is while Berlioz and Harriet Smithson were living at 31 rue de Londres that their marriage broke down, some time in the early 1840s. 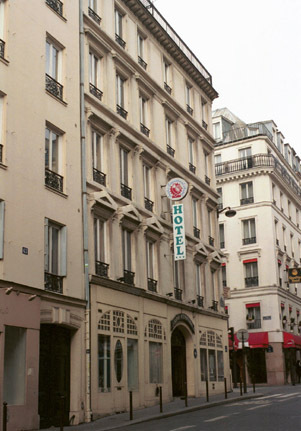 The result was that in the course of 1844 if not earlier Berlioz moved in with Marie Recio (who later, in 1854, became his second wife) to her flat at 41 rue de Provence. In the same context, at some time in the late summer or autumn of that year he rented a new flat at 43 rue Blanche; the first dated letter to show this address is of 12 November 1844 (CG no. 925; cf. 925bis on 20 November [in vol. VIII]). Harriet moved there and rue Blanche became her residence for the next few years; a letter from her to her son carries that address (cited in CG III p. 368 n. 4). The last mention of the address is in a letter of Berlioz of early 1847 (CG no. 1089). At some point during that year or early in 1848 Harriet moved to another address in the same street, at 65 rue Blanche, as shown by a letter dated to May 1848 (CG no. 1195). But before the end of the year Harriet moved to 12 rue Saint-Vincent in Montmartre, which was to be her final residence. 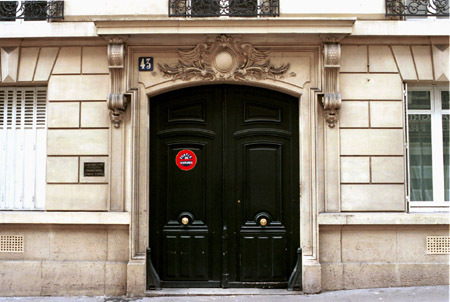 Although Berlioz did not live at rue Blanche, he continued down to 1845 to use the address occasionally, either in letters of an official character (CG nos. 949 [to the Queen of France], 984 [to the Préfet de la Seine]), or to correspondents with whom he was on formal terms (CG nos. 927, 950, 985). Thus his first known letter to General Lvov uses the address 43 rue Blanche (CG no. 986, 1 August 1845) but the next day he uses the address 41 rue de Provence when writing to George Hainl, with whom he had recently stayed in Lyon with Marie Recio (CG no. 987). After Lvov had entertained Berlioz and Marie Recio in St Petersburg in 1847 and was thus familiar with the situation, he now writes to Berlioz at 41 rue de Provence (CG no. 1134bis [in vol. VIII]). After 1845 the address 43 rue Blanche is only mentioned once, in a letter of Berlioz of early 1847, in which he instructs his copyist to leave some music at that address, with the explicit intention of concealing the fact of his imminent departure for Russia from Marie Recio (CG no. 1089). All the photographs reproduced on this page were taken by Michel Austin in 2000. © Monir Tayeb and Michel Austin. All rights of reproduction reserved. The street on the left is the Rue de Calais, where Berlioz lived for the last twelve years of his life.